Marshall, Blauman saved you from a lifetime of looking at Sugar Ray every time we do it on your birthday. 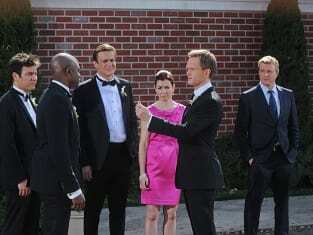 How I Met Your Mother Season 9 Episode 21: "Gary Blauman"
You will be shocked kids, when you discover how easy it is in life to part ways with people forever. That's why, when you find someone you want to keep around, you do something about it. No more books Ted. I don't like the person you become when you read books. Permalink: No more books Ted. I don't like the person you become when you read books.